Infant mortality remains a problem in the United States with sleep-related deaths accounting for a significant portion. Known risk reduction strategies include breastfeeding, avoiding tobacco use and following the American Academy of Pediatrics’ safe sleep guidelines. The purpose of this project was to evaluate outcomes of Safe Sleep Instructor-led community baby showers, which included safe sleep promotion, breastfeeding promotion and tobacco cessation education. Certified Safe Sleep Instructors (n = 35) were trained on how to plan and host a Community Baby Shower to provide education to pregnant women of low socioeconomic status or with high risk of infant mortality. Eighteen Community Baby Showers were held across two urban and eight rural counties in Kansas. Surveys were administered pre- and post-event to assess participant knowledge, confidence and intentions to follow through with planned action related to safe sleep, breastfeeding and reducing tobacco risk. Matched data were summarized and evaluated for differences using McNemar’s and Wilcoxon Signed Rank tests. Significant increases were observed in Baby Shower participants’ (n = 845) reported plans to follow the AAP Safe Sleep guidelines (all p < 0.001), likelihood to breastfeed (p < 0.001), confidence in ability to breastfeed for more than 6 months (p < 0.001), knowledge of local breastfeeding support resources (p < 0.001), knowledge of ways to avoid second-hand smoke exposure (p < 0.001) and knowledge of local tobacco cessation services (p = 0.004). Based on the result of the pre- and post-event surveys, certified Safe Sleep Instructors were able to plan and host successful events to increase knowledge and confidence related to risk reduction strategies to reduce sleep-related infant deaths. Centers for Disease Control and Prevention. (2017). Sudden unexpected infant death and sudden infant death syndrome: Data and statistics. Retrieved from https://www.cdc.gov/sids/data.htm. Kansas Department of Health and Environment, Bureau of Epidemiology and Public Health Informatics. (2017). Selected special statistics stillbirths and infant deaths Kansas, 2016 Research Summary. Retrieved from http://www.kdheks.gov/phi/AS_Tables/AS_2016_Tables_and_Figures/fetal/2016StatisticsStillbirthsandInfantDeaths.pdf. Schmidt, D. (2017). Kansas state child death review board: 2017 annual report. Retrieved from https://ag.ks.gov/docs/default-source/documents/2017-scdrb-annual-report.pdf?sfvrsn=c0ad41a_4. Kansas Department of Health and Environment, Bureau of Epidemiology and Public Health Informatics. (2017). Annual vital statistics summary, 2016. Retrieved from http://www.kdheks.gov/phi/as/2016/Annual_Summary_2016.pdf. Sinha, B., Chowdhury, R., Sankar, M. J., et al. Interventions to improve breastfeeding outcomes: A systematic review and meta-analysis. Acta Paediatrica. 104(467), 114–134. https://doi.org/10.1111/apa.13127. U.S. Department of Health and Human Services, Centers for Disease Control and Prevention, National Center for Chronic Disease Prevention and Health Promotion, Office on Smoking and Health. (2000). 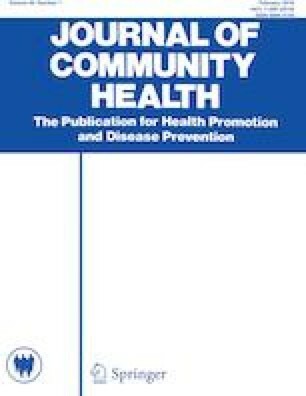 Reducing tobacco use: A report of the surgeon general. Atlanta, Georgia. Retrieved from https://www.cdc.gov/tobacco/data_statistics/sgr/2000/complete_report/pdfs/fullreport.pdf.